In some modern books on numerology may encounter differences in interpretation of arrows. This is caused by the desire of the individual authors make to your original text in order to avoid copyright infringement. However, this does not reflect the true original meaning of individual arrows. In some cases, the arrows give the characteristics that could completely led astray. The term “boom”, according to the modern followers of Pythagoras, highlights the ability of the birth chart point out the unique features that allow you to draw important conclusions about the identity of the person. Arrows appear in the birth chart, as soon as any three numbers turn out to be located on a straight line or in a straight line if there are three empty boxes. Boom, consisting of the numbers – it Arrows force. Boom of the empty cells – Arrows weakness, which, however, can be overcome by leveraging the capabilities of other numbers in the chart. In contrast to previous arrows, when the level of the soul is not a single number, increased emotional sensitivity of man leads to different effect on the severity of the problems of the emotional plane. The absence of these numbers do not indicate that such a person completely devoid of soul. Rather, it suggests that his mental defense is weakened and therefore the sensitivity is too exposed and influenced by the outside world, which is often quite brutally weaknesses. These enjoys such people are easily hurt, especially in youth, while they still have not learned to hide their feelings. They are so easy to offend or upset that they go into themselves and become very self-conscious. Many early because of this inferiority complex is formed, it is difficult to establish social contacts and they lose faith in other people. The majority, with maturity, grows out of these problems by learning to overcome them. They learn to control their emotions, are recognized in any area or acquire the ability to guide and manage communication and situations, to protect their sensitive nature. Sometimes they choose the strategy: The best defense – attack. This is especially effective when they have the intelligence or mental Arrow Managing Number. Natural sensitivity gives them deeply loving and gentle nature, but often they become reflexive because of some deep personal wounds. It develops in them foreign callousness, which is in conflict with the softness of their natural appearance. They quickly learn to be quite restrained in expressing their feelings and involuntarily represent himself in a false light. The result is a disappointment of love. Mainly these people seem to be stubborn at times – overconfidence (masking native shyness), but they always remain emotionally vulnerable. Only a few owners of Arrows supersensitivity can overcome, or at least recognize that line. Yet the ability to control their emotions – one of the most important lessons of life, and it must, ultimately, be internalized by all people, especially those who have the Arrow Hypersensitivity.Tot who want to overcome their acute sensitivity must first understand the difference between reflection and positive activity. It is necessary to stop feeling like a victim of circumstances and not take to heart the opinions of others. Instead, you need to be initiated, the inspiration worthy endeavors. Using this you can learn to identify their strengths and use them to balance their identity and achieve significant success s life. This will be the foundation for future success, recognition and appreciation of the effort. As a result, increase their understanding of and restored laser in people and confidence in the future. Children with this arrow extremely shy and sensitive, they are easily recognized by a special demeanor. For example, they rarely raised his eyes in the presence of strangers. However, patience, love and kindness will help them to overcome the excessive timidity. Parents do not have to invest time out to listen to their children because all the fears, anxiety and grief are a heavy burden on their immature minds. By encouraging these children as often as possible to clothe their problems into words, parents have taken an important step in the development of their emotional balance and ability to fearlessly express their feelings. Children having Arrow hypersensitivity crave love more than other children, seeking every opportunity to serve on whom they love focused. Therefore, parents should make every effort to involve their children in interesting activities, and when those things happened, be sure to show them his approval and admiration, because for them it is very important. If a child is not a very good job or behaving provocatively, in any case can not scold or criticize him in front of others, especially their peers. This is a direct way to perpetuate his inferiority complex and the loss of his trust and respect. It would be better if you will take the child aside and calmly discuss the issue with him, helping himself to find the best way out of this situation. The arrow by the absence of the numbers 4, 5 and b divides birthday card in two and often indicates a weak will. After the war, in the 1940s, 1950s and 19b0-s, dates of birth with that Arrow did not meet at all. However, starting in 1970 in the birth chart of many people appeared Arrow disappointment. Practitioners often face numerologists especially with people who have this arrow. They tend to suffer from broken marriages, unhappy relationships and all his apparent confusion personality. Need to understand that frustration – it is not nothing but unfulfilled expectations. These people often expect more than they are ready to give. If they have learned to accept people as they are and appreciate each person for his uniqueness, these expectations were simply would not find place. Habit to expect something – is the need dictated by our emotions. It would be much better if we change her willingness to accept whatever happens, recognizing this as the best of all possible options. In this case, we have to rid yourself of all the emotional requirements outcome of an event of our lives. This will allow others to be themselves and not try to meet our expectations. Must come to realize that none of us is perfectly be what it could be. Absolutely perfect people do not need to earthly incarnations. We are all at different stages of personal growth, you should never force it, try to open a rose bud ahead of time is not likely to lead to anything good. The best stimulant for spiritual growth is an adequate assessment of their personality and behavior. It must be sincere: in this case, the person will experience its beneficial long impression. Live in store lots of different ways to make sure that its lessons learned on “excellent.” People with arrows Disappointments are well aware that all the losses, separation and disappointments that occur in their lives (and they can be quite a lot) – an important step in a long process of growth towards perfection. Developing this awareness, they gradually get rid of frustration in others. In the end, when reached maturity and wisdom, frustration disappears. Otherwise, the souls of these people are covered with sadness, loneliness and sadness. Only compassionate, they will be happier and realize that all the old frustrations were nothing more than a relic not too happy childhood. 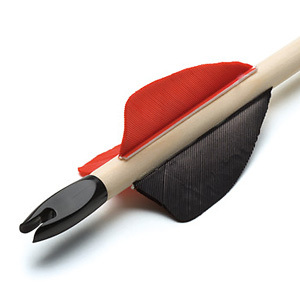 Children who have this arrow in need of love and attention to the specific depth. They very soon lose their illusions, life for them turns into a series of disappointments and in friends and casual acquaintances, which will often lead them and throw in trouble. This leads to the appearance of their character so uncharacteristic gloom children, they are often in low spirits, which, first of all, confused and upset their parents. Our work – to show these kids that every person has the right to be themselves and not always to do what they want. Thus, they learn to “prefer” not “crave” and will no longer cling to the emotional result. For these children, it is important to feel that between them and their parents, there are bonds of true friendship. This is much more than just respect and obedience – is trust based on love. This friendship will reduce children’s moodiness, especially if the child will know what you can talk openly with their parents and thus it will not deprecate or to call for an explanation or justification of his actions. The numbers that surround us have a magical meaning. Their vibrations have a great impact on our lives. Anything with numerical vibrations studying numerology – the universal system of knowledge of the world order. All phenomena are reduced to simple numerical vibrations. Numerology is a karmic astrology, which is not confined to our present incarnation. Therefore numerological horoscope reveals not only the purpose of the concrete implementation, but gives a more profound karmic information. Construction of the mandala and meditation on her cause in the subconscious mind and give some impetus to thin out plans. Tuning in to their mandala, we include a special ecumenical rhythm, contributing to the perception of cosmic energy, and have the opportunity to completely different development. After receiving new information, many will be able to analyze your life, find out what qualities they initially have, consciously adjust their weaknesses to achieve the solution of the tasks for which they were born. The geometric pattern of numerological horoscope person (numerical mandala) – is an individual figure of destiny. He reveals the original path of man, shows his hidden opportunities. Daily vibration energy flows reflect and act on the unconscious structures of our essence and personality, which can be seen in a mandala. They are reflected in our thoughts, emotions, our health, the ways and possibilities of the goal, the impact on the world in response to others. Exploring the mandala, you can see what we have lost, and that acquired during life, it is good for us or bad, you can learn what to do in a given year, month, day. Any line mandala shows how a person’s life are implemented various programs, whether ancestral curse, whether a person has magical powers, and if so, how to use them, how to compensate for the natural weakness.